Welcome to buy dragon roller coaster rides from Beston Amusement for your amusement rides business in Australia. As large roller coaster and other different kinds of amusement park rides manufacturer, Beston has manufactured and exported many sets of smaller roller coaster which including the green worm slide roller coaster and the dragon roller coasters to Australia. 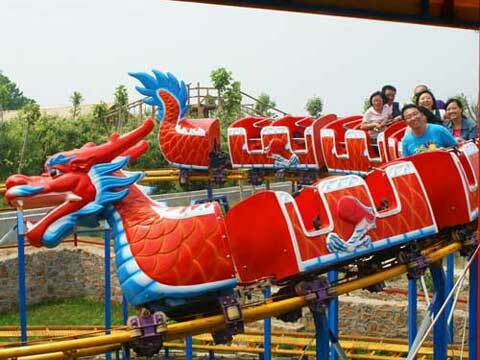 Here in this page, we will show you more about the dragon roller coasters in our factory. The slide dragon roller coaster amusement rides is made according to the dragon’s tail. The whole dragon roller coaster train is driven by the front and the back rear drive. 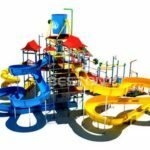 The run along with two spiral track, hovering and decline, entertaining and interesting which is suitable for all age groups. During the process, our dragon slide roller coaster rides will bring kids and adults novel and happiness. The elegant dragon shape and national characteristic decorations increase the interest of visitors. Dragon roller coaster rides for sale in our factory, is one of the most popular rides for people who love to amusement park in Australia, especially kids. It is a kind of kiddie amusement equipment which is designed by our professional engineers. 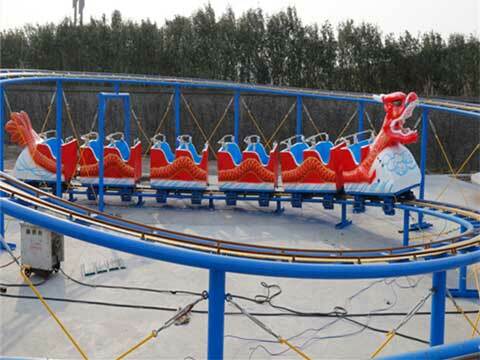 The slide dragon roller coaster is a kind of roller coaster track trains which belongs to the track rides in our factory. We also have other similar rides for sale, the green slide roller coaster, racing car roller coasters, charismas track train and other track rides with train shapes. About this dragon theme roller coaster, we have single ring and double ring dragon roller coaster, we also have red dragon roller coaster, green dragon roller coaster and yellow (golden) dragon roller coaster. These three colors of dragon roller coaster are popular, but we also paint other color roller coasters. During the exporting business to Australia, Beston spend a lot on the production and safety control about the dragon roller coaster rides. We are aiming at manufacturing the best quality dragon coaster rides for our Customer customer’s. Dragon slide roller coaster make full use of the mechanical power and then send the dragon’s head and the following locomotives to a higher place. And then use the kinetic energy to gain more energy during the falling process and then achieve its orbit change. During the driving process, the dragon roller coaster equipment looks like a real dragon that flying in the sky freely. Many coaster cars followed the head of the dragon and slide along with the track. Fast and slow of the speed was freely controlled by the equipment. Dragon coasters is a kind of large amusement rides that we had usually exported to Australia, passengers who love this ride because of its shape and its safety elements. Dragon roller coaster are widely used in the large theme parks, kiddie parks, amusement parks, funfairs, tourist sites, fairground places, family fun centers, shopping mall, large squares and if your backyard is big enough, it is also a popular backyard rides for kids. (We Accept Customized Order for Australia Customers, If You Really Love This Shape, Just Contact Us, We Can Customize One Which Is Suitable for Your Yard). Our dragon roller coaster are best –sell in Australia market. Welcome to our factory!